About a month ago, Liz and I took a mini roadtrip to Gypsy Vintage. It’s a small monthly barnsale and, we learned, that Sunday is just a little too late. The hoards on Saturday evidently do some major picking. But still, I found 2 things to love. This castor oil bottle. The dried roses are remnants from a lovely bouquet that I’d held onto. I love them in this bottle. The other was a 3+ foot diameter rusted double circle. While a little bent, it had some charm. I didn’t really know what I’d do with it, but while we chatted at the store, some interesting ideas were thrown out. I knew it had possibilities. And it was very inexpensive. 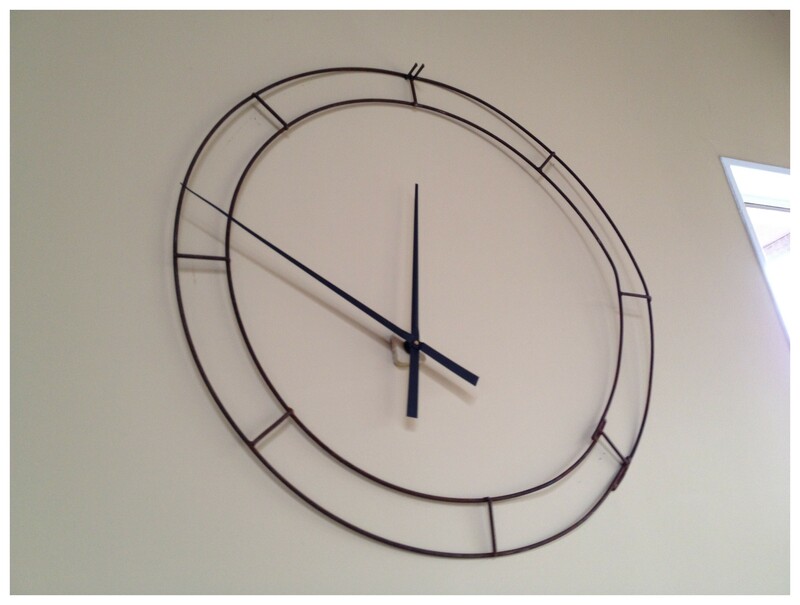 Back at home, my oldest son saw the circle and reminded me that we’ve been looking for a big clock and, you know what? This would make a great clock. He was right. 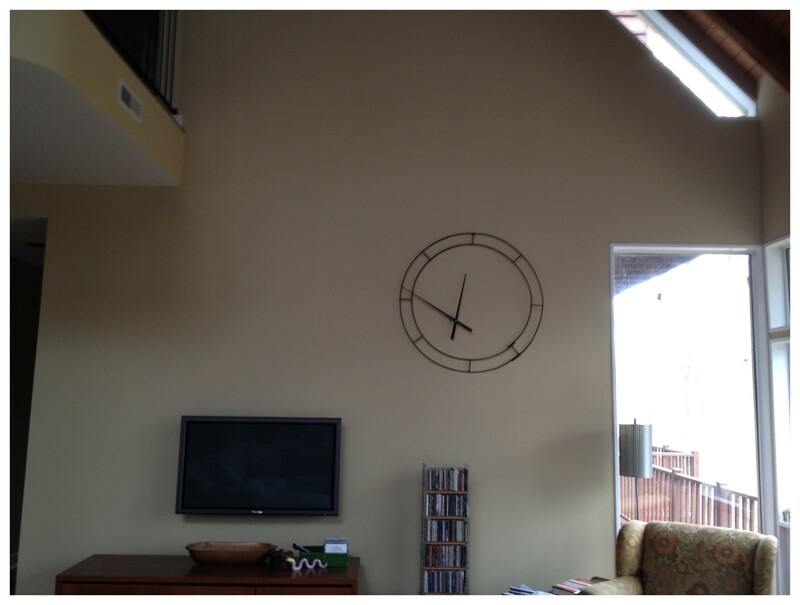 Today, we finished the project and hung the clock. I particularly love his idea that the movement be off-center. And we consciously left the dents and dings on the circle. Awesome, I love this story, from start to finish.